Former Lipscomb soccer standout Ivan Sakou is hoping his foot skills – not his math skills – help him get a job soon. 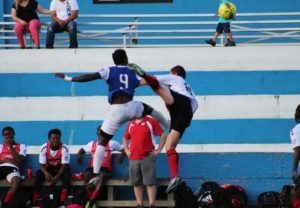 The Cameroon native is spending the summer playing for Inter Nashville FC, a National Premier Soccer League team based at the International Indoor Soccer Complex in Antioch. He’ll then return to school this fall to complete his degree in mechanical engineering. 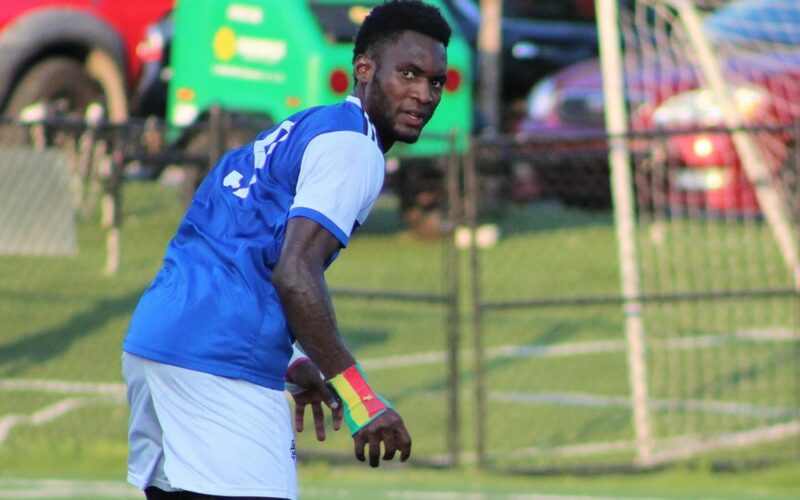 Sakou leads the team with eight goals and said he is enjoying playing in the NPSL, which is widely considered to be part of the fourth tier of American soccer. He first landed at Western Nebraska Community College in 2014 and then transferred to VCU for the 2015 season, before playing his final two years at Lipscomb. Sakou finished his college career with 30 total goals and 14 assists, and he was named MVP of the 2017 ASUN tournament, which Lipscomb won w ith a 2-1 victory over Jacksonville. Not bad for a guy who came to the United States to focus on school, not soccer. Along with former Bison teammates Ivan Alvarado and Eduardo Reza, Sakou was a trialist for the USL’s Nashville SC in a friendly match against his former Lipscomb team on March 1. Alvarado (Texas United) and Reza (Colorado Rapids U23) are now both playing in the Premier Development League, which offers a level of play similar to the NPSL. Meanwhile, Nashville SC recently loaned four players – Ian McGrath, Jordan Dunstan, Michael DeGraffenreidt and Ramone Howell – to Inter Nashville FC for development purposes. As part of the partnership, Sakou has been invited to participate in several more Nashville SC practices. Sakou is working a part-time job on campus and will graduate in December. After that, he’ll be free to attempt to secure professional tryouts in the United States or elsewhere. For now, Sakou is focused on leading his squad to to the NPSL playoffs. Inter Nashville FC (5-5-2) currently sits in fourth place in the Southeast Conference standings, and it must finish in the top six to make the playoffs. 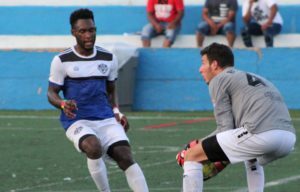 The team has two regular season games remaining, including a match at Chattanooga FC on July 4 and a home match against Greenville FC on July 7. Sakou may not have chosen the easiest path, but he believes he’s set up for success. Even if pro soccer doesn’t work out, he’ll have his engineering degree to fall back on.